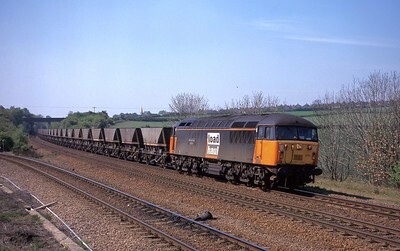 56007 enters into Scunthorpe with 7C75 10:44 from Immingham with a loaded MGR for the Steel Works, on 12/05/01. 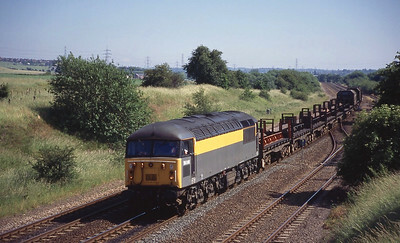 56018 approaches Helsby with the 6F54 Dee Marsh - Arply Yard empty OTA’s on 01/06/96. 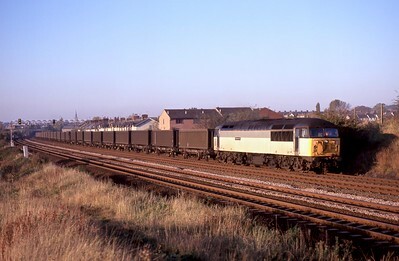 56027 in Loadhaul black livery, but devoid of logo, passes Thornhill between Hope and Bamford with 6Z56 10:19 Earles Sidings - Tees Yard on 26/03/99. 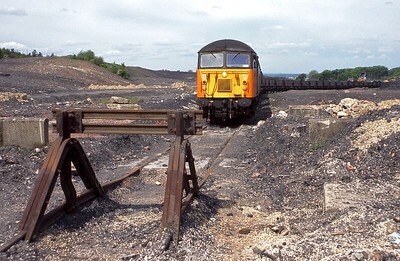 56029 ambles through the old platform 5 of what was Sheffield Victoria Station with 6G59 Aldwarke - Stocksbridge steel on Sunday 11/05/97. 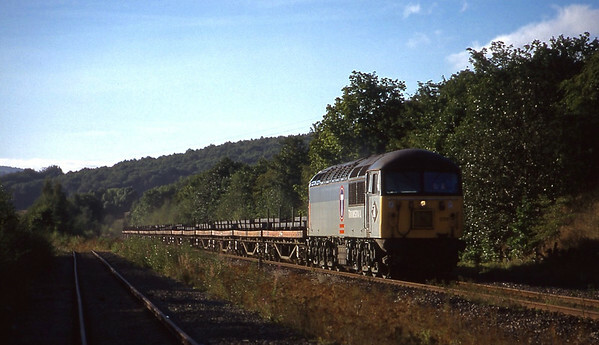 56040 ‘Oystermouth’ passes through the platforms of Hatfield & Stainforth Station while working 6N30 12:35 Scunthorpe - Lackenby steel on a hazy 11/09/99. 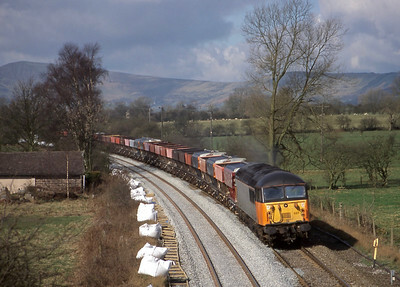 56045 ‘British Steel Shelton’ heads North past Foxlow Junction with an empty MGR on 02/05/97. 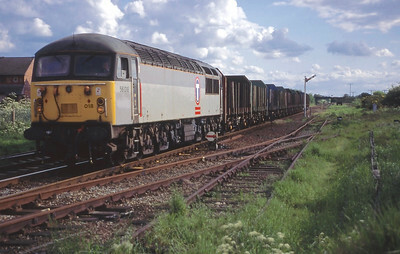 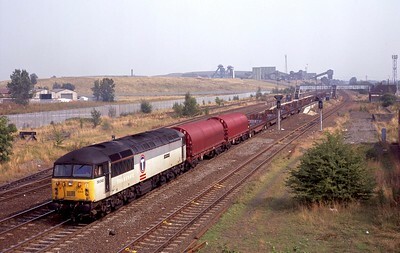 56048 heads north past Treeton south with 6E31 12:54 Wolverhampton - Lackenby 10/07/96. 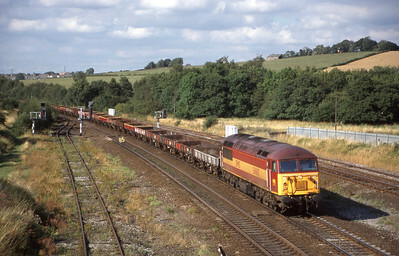 56051 thuds past Wadsley Bridge on the former Woodhead line with 6G59 Aldwarke - Stockbridge steel on Sunday 20/07/97. 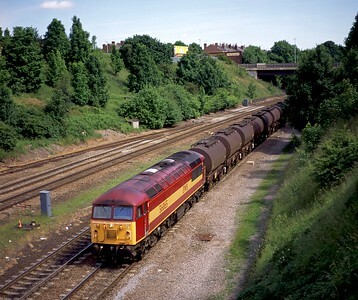 56060 thumps past Primrose Bridge, Rotherham with 6T97 09:00 Toton - Milford empty MGR on 21/05/02. 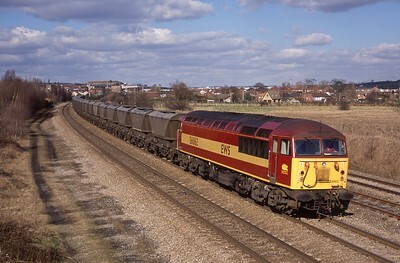 56062 passes Langley Mill with a loaded MGR on 24/02/01. 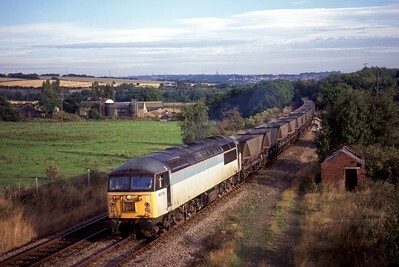 56063 ‘Bardon Hill’ passes Harland, South of Chesterfield with 6V21 Immingham - Coedbach empty ‘Russell’ containers on Saturday 18/10/97. 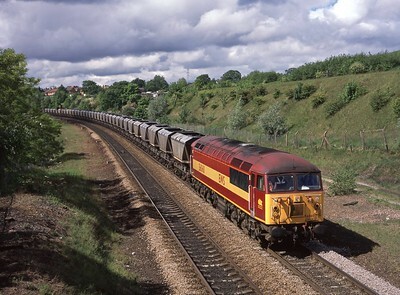 56065 takes the ‘Old Road’ at Masbrough North with 6V14 07:49 Hull - Baglan Bay 'vinegar tanks’ on 18/06/01. 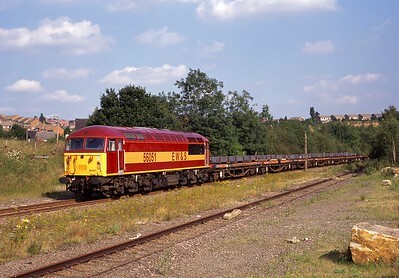 This is the only time I saw a 56 on this working ! 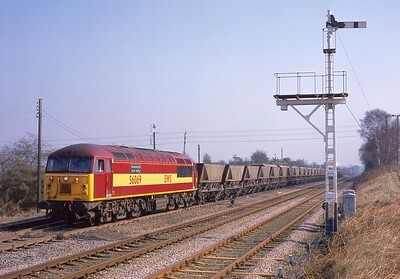 56069 ‘Wolverhampton steel Terminal’ sets off from Thoresby Colliery Junction with 4T45 09:20 Toton - Thereby Colliery for loading on 22/03/03. 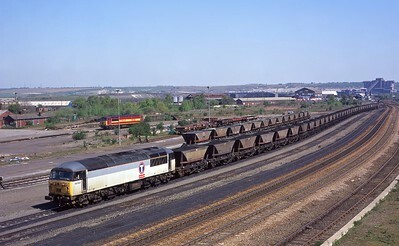 56071 passes Worlaby Carrs with an empty MGR forming 6C74 11:48 Scunthorpe - Immingham on 28/04/01. 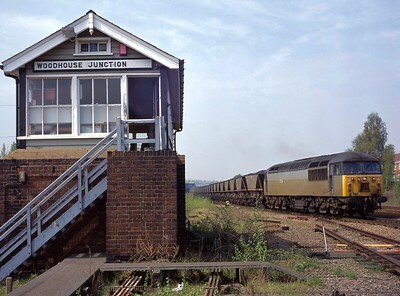 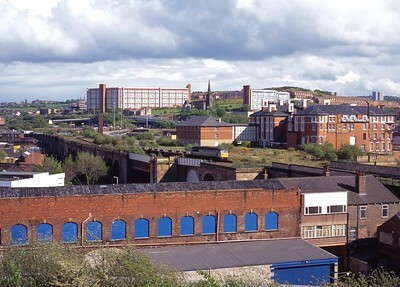 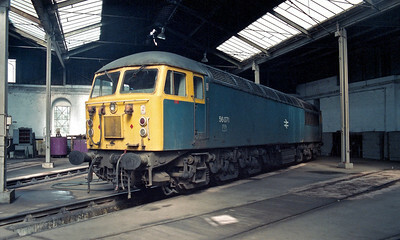 56071 sits inside Barrow Hill Roundhouse on 02/05/88. 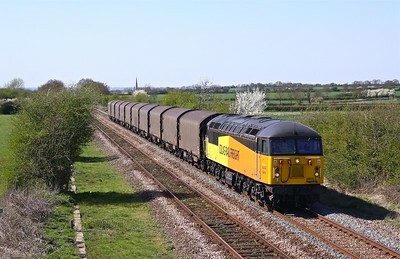 56078 & 56113 sweep through Horbury whilst working 6E32 08:55 Colas Ribble Rail - Lindsey OR discharged bitumen tanks on 05/04/18. 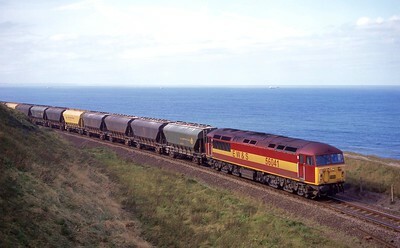 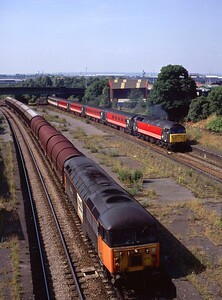 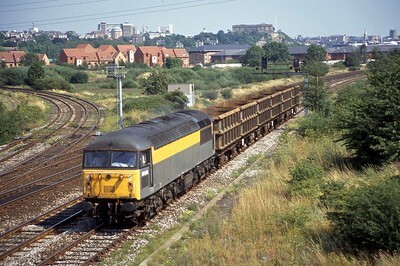 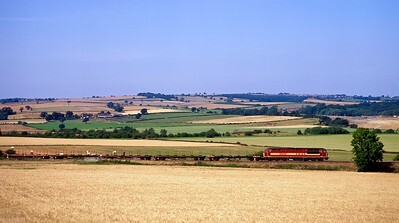 56078 passes Crigglestone with empty MGR hoppers from Milford to Woolley Coal Sidings on 08/09/99. 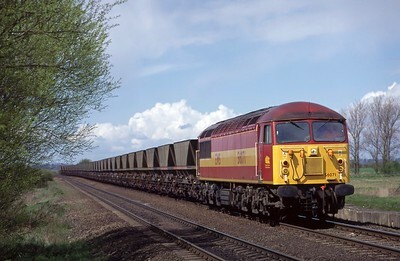 56078 saunters past Cox Walk UWC, near Muston with a Saturday 6E07 11:08 Wsahwood Heath - Boston docks empty steel working , 18/04/15.